I’m sure you guys feel me on that sentiment! However, here in NYC, it is a rainy, cloudy and gloomy day-more fitting as a Monday not Friday in my opinion. I don’t know about you all, but gloomy days definitely depress me. Therefore, dressing accordingly in all black, minus shoes, is very befitting of my mood today. Why am I so fixated on the weather? It’s not so much the weather as it is my chosen footwear. 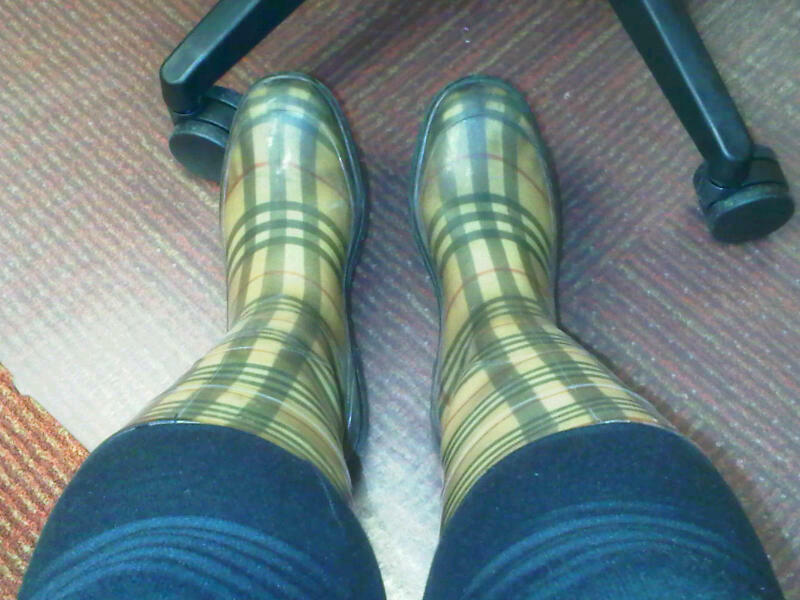 I’m sporting my good ‘ol Burberry Rain boots circa 2005. 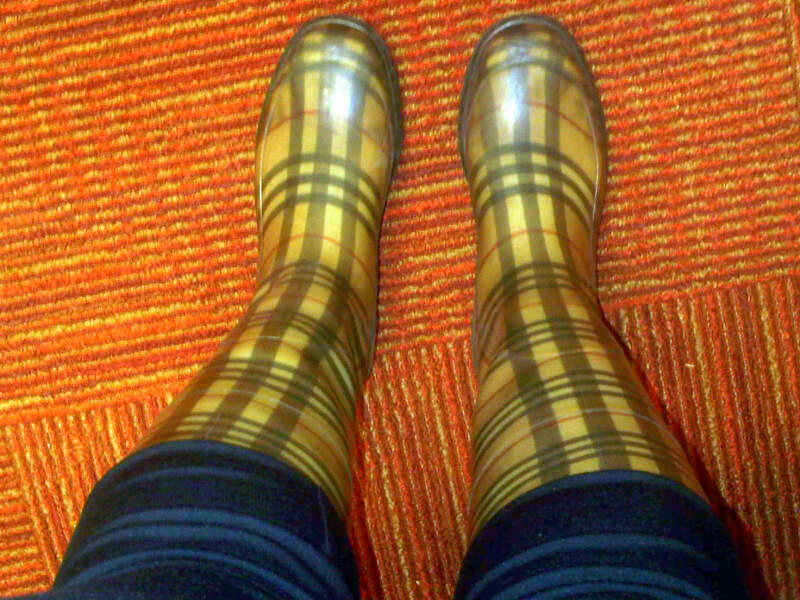 Yes, these babies have been a wet weather go-to for over 6 years. I undoubtedly got my fair share of wear for the money spent-$140 to be exact although nowadays, they will cost you over $200. 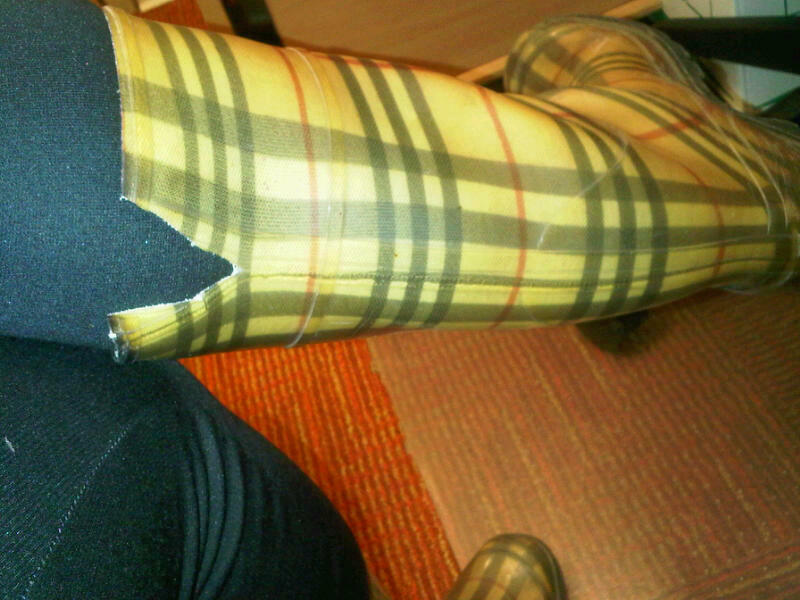 This is my issue with Burberry and their boots-They are NOT meant for women (plus size or not) with curvy legs. Back in 2005, I was much smaller in size then I am now, about 30 pounds less actually AND I was pregnant (insert perplex face here). Back than at under 150 pounds, the shaft of the boot was snug due to its ridiculously small width. Now, my poor calf is suffocated and the fat protrudes to the top of the boot making for an incredibly unflattering silhouette, similar to a muffin top. I had no choice but to take a pair of scissors and cut through the rubber to relieve my calf allowing for blood circulation similar to an emergency worker utilizing the jaws of life to rescue barricaded victims. Ok, my metaphor may be a stretch but my calf was a victim of poor designing. Designing that I swear is only meant and targeted for slimmer builds. 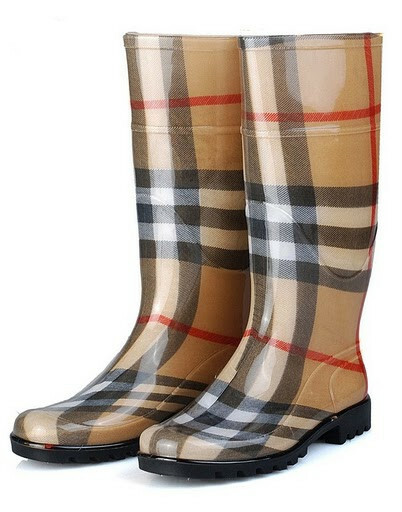 I am convinced of this since I have tried on several pairs of Burberry boots in the past. I am aware of their lower length styles but I personally prefer the taller length style. They continue to excite me with their stylish designs however I know, and now so do you, that they will not fit me legs. 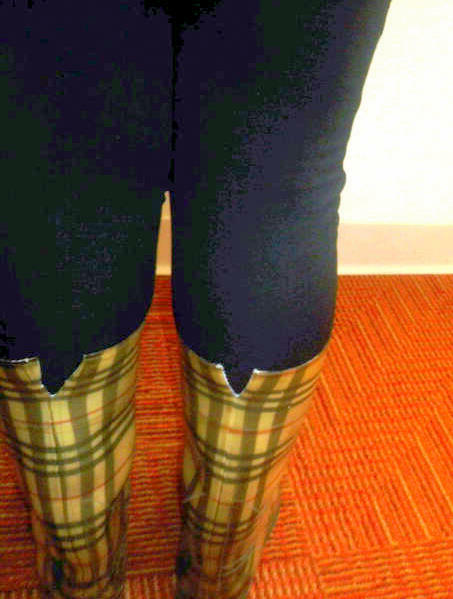 Needless to say, Burberry will no longer get any more of my hard earned money, that’s for sure. This is my product rant for this week. How do you keep your footsies dry in rainy and/or snowy weather? Have you too dealt with small width boots? I suffer from curvy leg syndrome also lol. Recently after searching high and low i found some rainboots by comfortview sold at onestopplus. They are on sale for $24 but are reg $125, steal I know right! Anywho i ordered them because unlike most rainboots the have a zipper, score again! My only probelm with them is my leg is still too curve so I took them to a shoe doctor, he is going to add some elastic along the zipper. I cant wait to get them back because they are so cute and one of my fave colors torquoise. Welcome to our louis vuitton handbags. 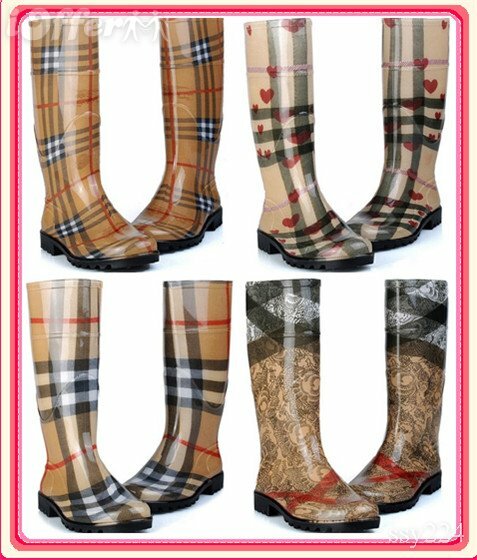 You will aslo like Burberry Outlet Sale kinds of Burberry Bags,Burberry Coats And Burberry Wallets with High Quality And Great Service. and No Waiting Again, Chanel Bags Outlet Online Shop is Your Best Choice. burberry scarf and clutches beautifully made with bold colors, eye-catching embellishments and striking details might be donned by the individual wearing, in order to complement a unique look, or become the focus.